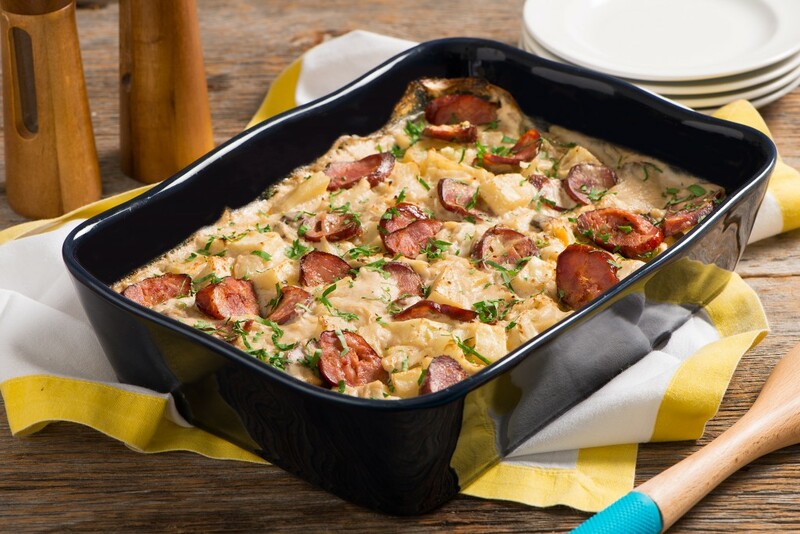 Simple but hearty, this dish features Carolina Pride kielbasa sausage and just a few additional ingredients you probably already have on hand. Preheat oven to 375 degrees F. In a large mixing bowl, mix together soup, milk, garlic, salt and pepper. Stir in potatoes and kielbasa. Spoon into a 7x11-inch casserole dish. 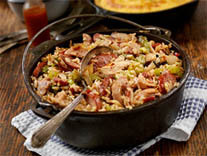 Place casserole dish on a baking sheet and bake for 90 minutes or until potatoes are tender.